Mike Bennett Author: Join the Night Crossing graphic novel launch on Twitter! 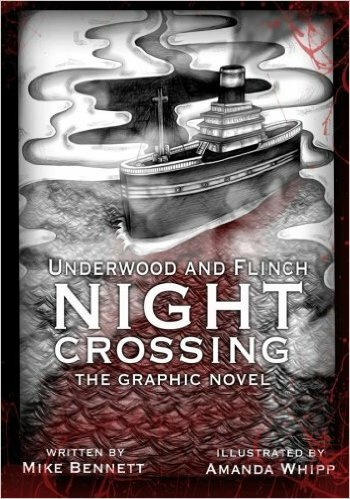 Join the Night Crossing graphic novel launch on Twitter! Today I'll be Skyping into a Colorado Springs comic book store to appear at the release of the Night Crossing graphic novel organised by the book's illustrator and creator, Amanda Whipp. The event will be available to view live on Twitter from store via Amanda's Twitter. Just follow @awhipp56 and join at 1pm Colorado time (MDT), 12pm in LA, 3pm in NY, 8pm in the UK, and 5am for any insomniacs in Australia. There's a Facebook event that you can declare your bold intention to attend (online or physically) here. I hope you can join us!